Maintain healthy teeth and gums by keeping good oral hygiene habits. Developing and consistently practicing good habits is important for preventing gum disease, tooth decay, tooth loss, and other oral health problems. Good oral hygiene habits include brushing and flossing daily, as well as using a toothpaste containing fluoride. Regular dental checkups should also be part of your oral hygiene routine. At Central Jersey Dental Arts, Dr. Nainesh Desai is your Piscataway, NJ, dentist for helping you develop good oral hygiene habits. There are many things you can do on your own to maintain good oral hygiene and properly care for your teeth. Visiting your Piscataway dentist every six months should also be part of your oral hygiene routine. Regular dental visits include an exam and cleaning. 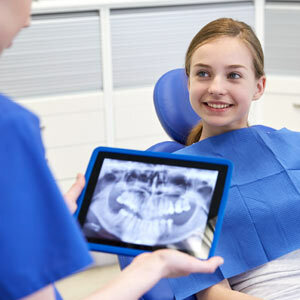 The exam gives your dentist the opportunity to spot the early warning signs of tooth decay, gum disease, or other oral health problems so those problems can be remedied right away. The professional dental cleaning that is part of your checkup keeps your teeth and gums their healthiest. Brushing your teeth twice daily is part of a good oral hygiene routine, but it is also important to ensure you are brushing properly. You want to be thorough when brushing. Poor brushing techniques, such as being too hasty, can leave behind bacteria. When bacteria linger on teeth, tooth decay and gum disease can develop. The proper way to brush is to thoroughly and gently brush all sides of each tooth. It is also important to brush all surface areas in the mouth, including the roof of the mouth, tongue, and gums. Enjoy healthier teeth and gums by keeping good oral hygiene habits, including daily brushing and flossing and regular dental visits. To schedule a dental exam with Dr. Desai, your Piscataway, NJ, dentist, call Central Jersey Dental Arts at (732) 981-1040.